Stag's horn fern (Stagshorn). 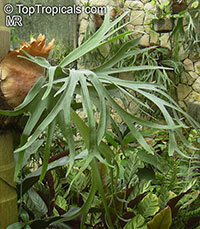 Showy, tropical looking epiphyte that can be grown on a tree or in a large hanging basket. 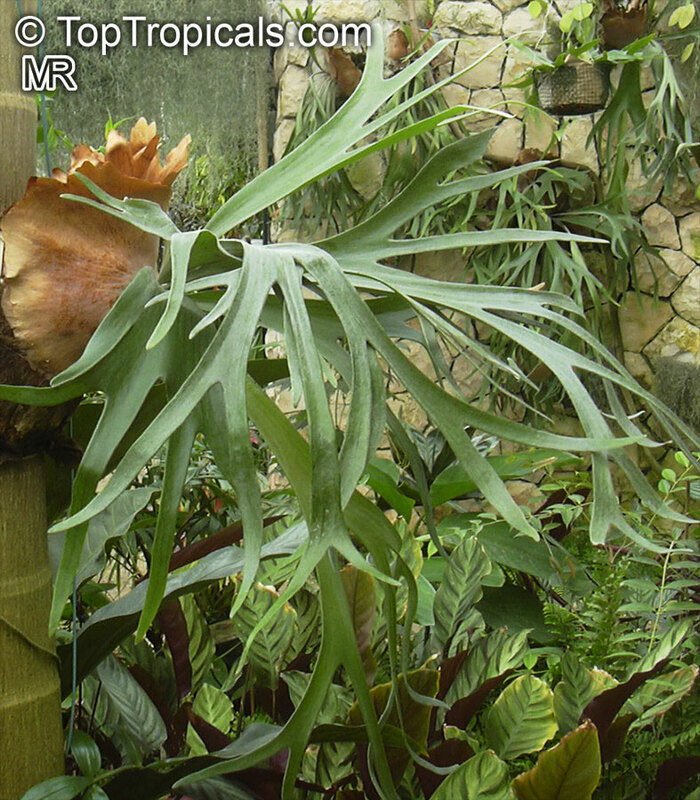 It is able to grow high in the trees of the rainforest, often grows in large masses. Long, pendulous, much bifurcated fertile fronds produce spores on special cup shaped appendages. Basal fronds form a crown shaped basket.